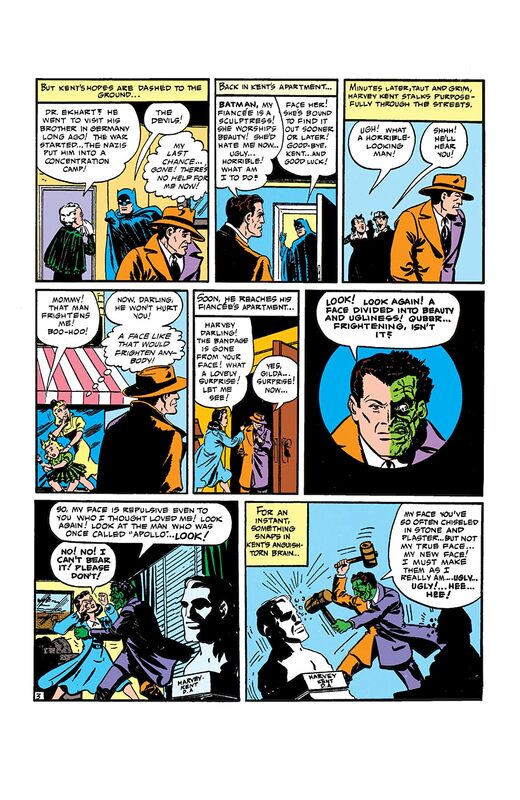 An unprecedented anthology of the greatest Two-Face stories ever told. 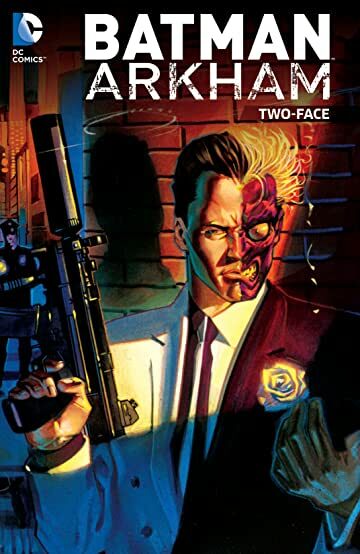 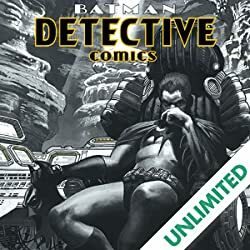 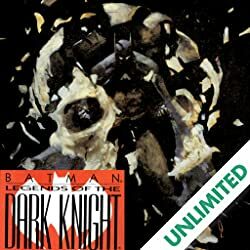 He was Harvey Dent, Gotham City’s crusading district attorney and one of the Batman’s closest allies, until an act of vengeance changed everything. 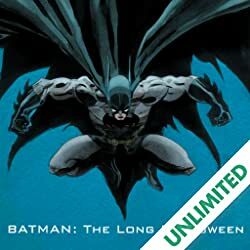 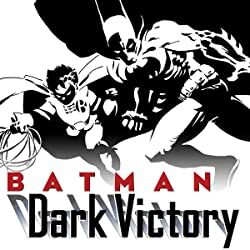 BATMAN ARKHAM: TWO-FACE collects work by some of the industry's greatest creators, including Peter Tomasi (BATMAN AND ROBIN), Curt Swan (SUPERMAN), Denny O’Neil (BATMAN), Bill Finger (DETECTIVE COMICS), Scott McDaniel (THE BRAVE AND THE BOLD), Guillem March (GOTHAM CITY SIRENS) and many more! 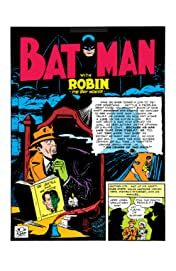 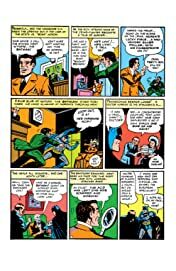 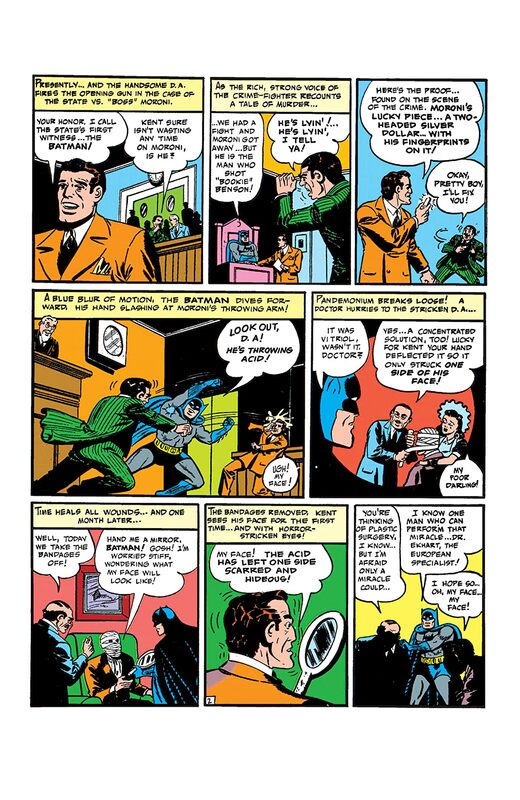 Includes DETECTIVE COMICS #66, #68, #80, #513, #563, #564; BATMAN #234, #346, #397-98, #410, #411; BATMAN AND ROBIN #23.1; WORLD’S FINEST #173; BATMAN TWO-FACE #1; JOKER’S ASYLUM TWO-FACE #1; BATMAN CHRONICLES #8.